Fun is an attitude, as well as an activity. Your capacity for fun was shaped by your early experiences. 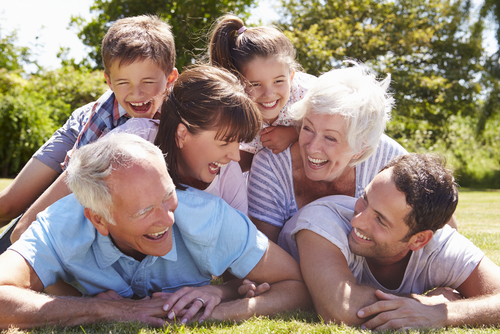 If you didn’t grow up with lighthearted parents, it’s helpful to know that a sense of fun can be learned in treatment! It really is important to be able to laugh. One gauge of mental health is satisfaction in love, work, and play. And let’s face it, a good laugh feels wonderful! If your parents were deadly serious and stressed achievement at all costs, you may have trouble lightening up, accessing your capacity for humor, and finding the joy in everyday life. You may be like a mother I know who feels burdened by “having” to go to Central Park with her son, or the person who can’t laugh at himself. Pathologically Serious? Recover Your Fun Side! A self-diagnosis of pathological seriousness—no, that’s not a clinical term!—is probably not the reason you’re considering treatment, but if you work on your issues, you’ll find you’re enjoying the humor in the world. That’s not to say that you don’t take anything seriously, but that you can let yourself laugh at the truly funny things that we all experience as humans. Developing a sense of fun is absolutely possible! You’ll find more enjoyment in your everyday activities, so that bowling with your child, taking the dog for a walk, or going to the gym is fun—not a burden. Spending time with your partner is something you look forward to, rather than something you have to do to get her or him off your case. The ability to have fun is a sign of mental health. When you deal with your problems, there’s a lot more room for the good things in life—again, it’s an attitude, not a collection of material things. And, yes, though we deal with some hard things that don’t always feel good, sometimes you’ll even laugh in your sessions. Not the defensive laughter that masks pain, but really deep belly laughs. I’ll help you go as deep as you need to in dealing with your issues, and help you learn to lighten up, too. Because the point is to enjoy what’s working and deal with what’s not and to try to generate more of the enjoyable experiences in your life—and the sense of fun to appreciate them! Remember: a sense of fun can be learned in treatment! If you’d like to learn more, reach out to me here.